Emergency dentistry deals with cases wherein an injury to the teeth and gums is caused by an accident. These injuries are most commonly in the form of a knocked out teeth, loosened, fractured, or a tooth/ teeth forced out of position. It’s also common to see cuts and bleeding from the lips or cheeks. Emergency dentistry cases are oftentimes very painful and require immediate attention- we can offer that quality and speed of service- here in Anzac Parade with your local Maroubra dental team. How do I know whether my case is an emergency? How soon should I go to the dentist? 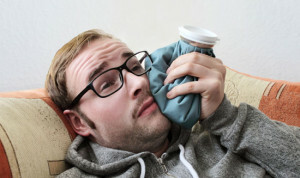 It is important to go immediately to a dentist when you have emergency cases such as above. Delaying it may cause further damage as the nerves and blood vessels continue to worsen. This goes especially for infections. If not treated immediately, it can spread to other parts of the head and can lead to serious health problems. Most importantly, do remember to call 911 immediately if you have any life-threatening emergency and do not delay. What can I do to prevent these emergency cases from happening?